Can You Do Too Much Weight Training? Weight training is one of the most popular forms of exercise the general population is using to lose weight and get fit. 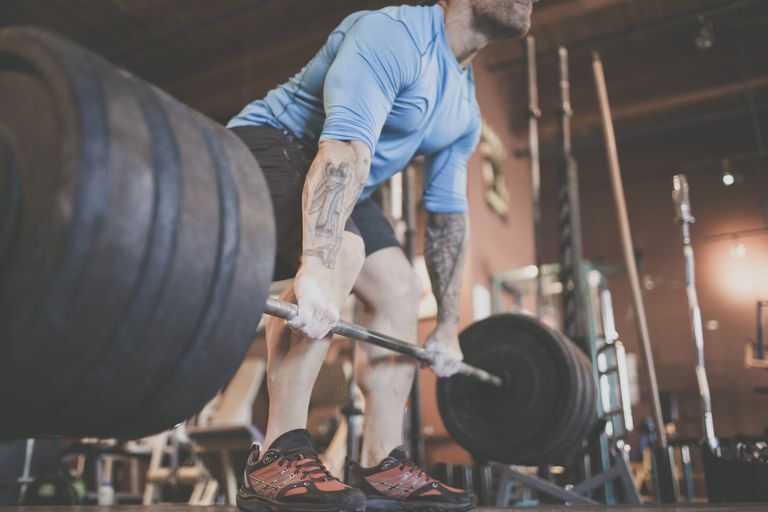 The popularity of programs such as CrossFit, Fitness Bootcamps, and Strength and Conditioning Classes has opened the door for many people to add weight lifting to their typical workout routine. This is great news because the benefits of building muscle mass and improving overall strength are many, particularly for women who lift weights. The benefits of adding strength training to your workout routine are obvious, yet when so many programs today have resistance exercise at the heart of the workout, it is easy to overtrain with weights and to potentially set yourself up for injuries, burnout, or decreased performance. The key exercise principles for building strength with weight training are fairly simple, choose an exercise, decide how much weight you will lift, how many times you'll lift it and how often you'll do that exercise. (amount of weight) x (reps / sets) x (workout frequency) = strength gains. However, it gets a bit more complicated when you consider the endless number of ways you can modify that formula. The number of combinations is endless, so deciding exactly how to modify them can get unruly quickly. Particularly if you are exercising daily and performing lots of the same types of movements. In order to get stronger, you need to challenge yourself and work to overload the muscles. But with that overload, you need to build in some rest so the muscles can rebuild and adapt to the stress. If you overload your muscles frequently but don't allow sufficient rest, you can easily end up getting weaker and risk getting injured. When it comes to weight training workouts, the key to improvement is in finding that ideal combination of training volume and intensity. Too much, or not enough, of either volume or intensity can end up with little or no improvement. Overtraining with weights generally shows up if either workout frequency or training intensity is at a high level for too long. To prevent overtraining, keep in mind that you can increase only one of those at a time or you will burn out quickly. So if you are working out frequently, you need to keep your intensity a bit lower. If you train less frequently, you can up your intensity. You run into trouble when you start thinking that more is always better. It's not. When you overdo strength training workouts because of increased or excessive volume—you work out often with minimal rest days—the first warning signs are symptoms very similar to those of the classic overtraining syndrome endurance athletes experience—a washed out feeling and general fatigue. The other type of overtraining with weights occurs when you train at too high an intensity with too much weight, too often. Basically, this means you're lifting maximal weights all the time. This type of overtraining generally results in decreased performance and can set an athlete up for joint injuries. Add extra recovery days to each week. Vary your workouts to avoid overloading the same muscle in the same ways each week. Avoid having both high training volume (frequency) and high intensity. Don't always work a muscle to failure. Follow a periodization workout program. Ultimately, to prevent overtraining, you should work out with a coach or trainer who can oversee your program and keep you following a progressive, periodized program that builds in variation that includes both phases of high-intensity training followed by phases of reduced workloads and increased recovery time. Does Pilates Work Better If You Do It Every Day?